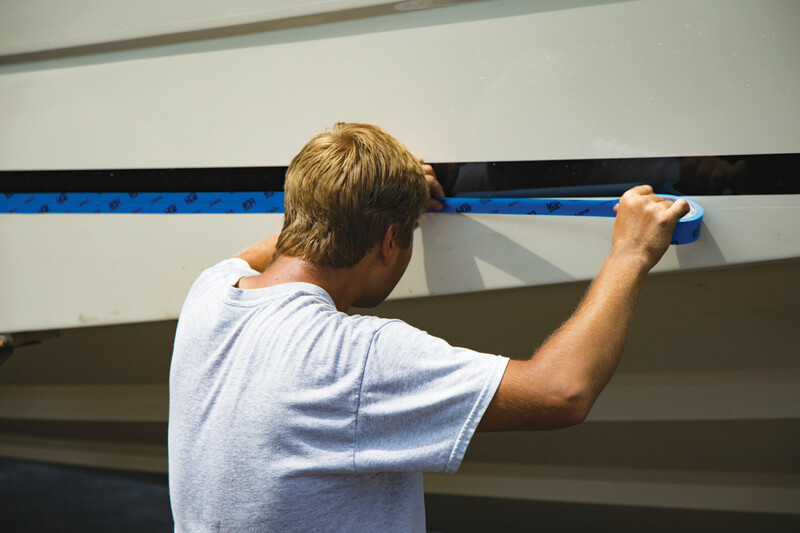 From putting in the tiniest screw to placing the boot stripe properly, the dealer deals so you don’t have to. 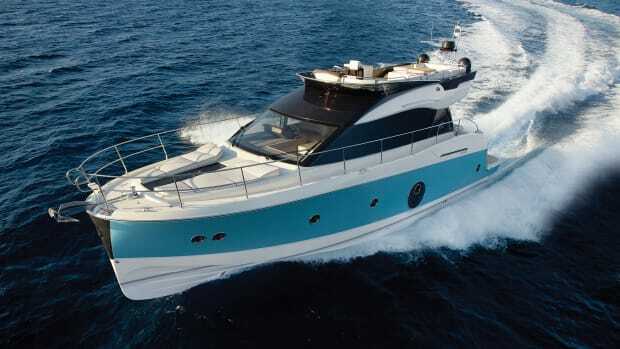 “Buying” a new Beneteau MC5 teaches Editor-in-Chief Daniel Harding Jr. about the importance of working with a reliable dealer. 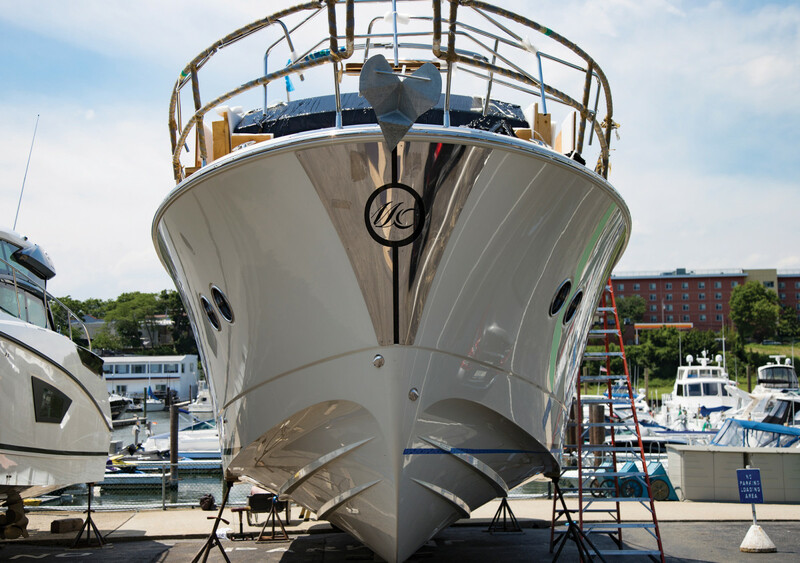 I have a confession: I’ve never purchased a million-dollar yacht from an overseas builder. In fact, I’ve never purchased a million-dollar yacht. 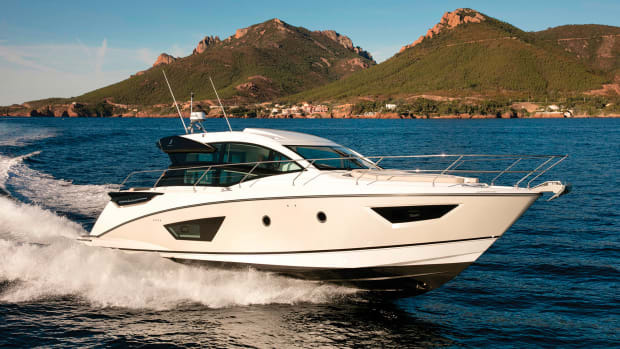 So I was new to the process when Justin Joyner, powerboat manager for Beneteau America, and I agreed that Power & Motor­yacht would borrow an MC5 for the summer. 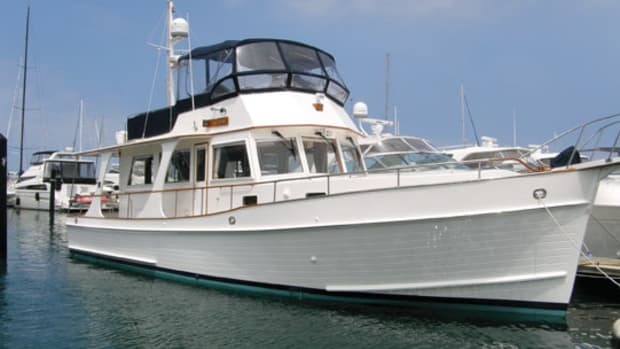 The plan was simple: I would take possession of the boat and go through the commissioning process as if I were a regular owner; no special media treatment here. 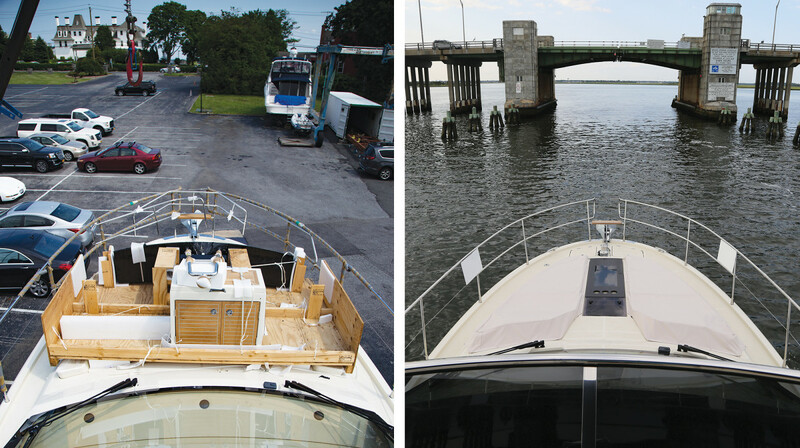 First, I was introduced to Beneteau’s dealer for the area, Castaways Yacht Club in New Rochelle, New York, which is just a stone’s throw from Manhattan’s East River. The next step in our journey toward faux ownership of the MC5 was waiting on pins and needles for the boat to actually arrive from France. 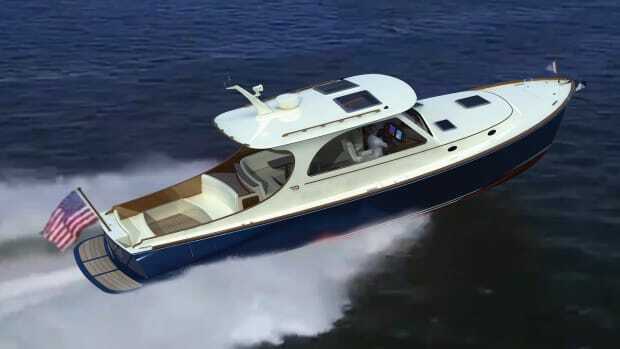 Before this experience, I had the impression that when you commission a new boat from overseas, the time it takes to go from check signing to delivery is a nonissue. 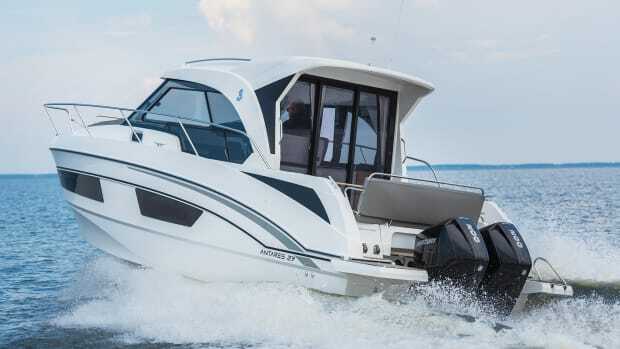 You’re getting a new boat, so what’s the rush? Well, if you’re taking delivery in New England, when good summer weekends are as rare and fleeting as a Billy Ray Cyrus hit, you get really anxious for it to arrive. I was staring at the calendar in my office when I got the call. The boat was coming into port in New Jersey and would arrive in New Rochelle that Friday. When I drove down to the yard, I was excited as a kid on Christmas, or rather, as excited as a kid getting a yacht on Christmas. I expected to find a spotless, glistening motoryacht like I’d seen at many a boat show. Resting on the hard beside the pool in the parking lot, the MC5 looked nothing like I had imagined. I was surprised by what I saw; she was not boat show ready, far from it. In need of bottom paint, with a couple of gouges in the gelcoat, she was dirty and her stainless was wrapped tightly in packing material. There was plastic everywhere and the flybridge was, well, it was missing. 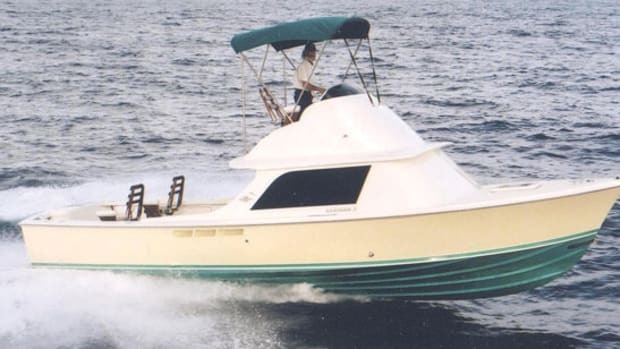 Tidily packed in plywood boxes on the bow was everything from the bimini to the steering wheel, to the cushions, sink, refrigerator, and more. 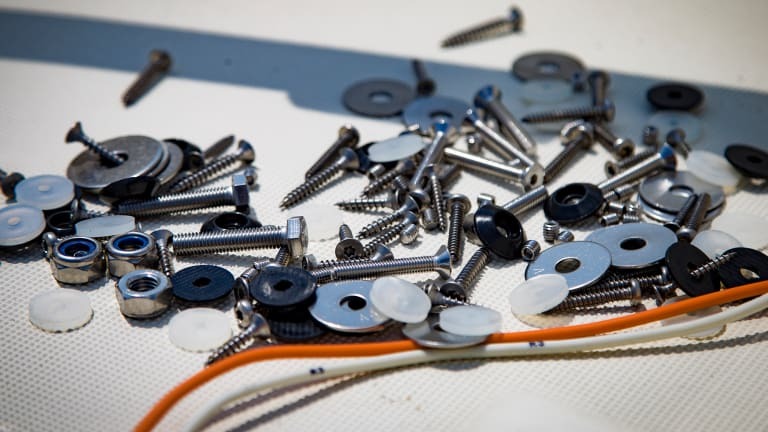 Screws and washers were neatly spread throughout the space. There was an astonishing amount of work to do. It was an eye-opening experience to see how much assembly was required, and a good lesson on the importance of working with a reputable dealer who has a close relationship with the parent company. I would return to Castaways a week later and see a very different MC5. Gleaming from her newly installed bimini to the freshly painted waterline, the boat looked like she was ready for her Ft. Lauderdale debut, complete with gift basket in the galley. It took only a couple minutes at Castaways for me to see who was running the operation. Owner Bill Michaelis is a force to be reckoned with in the yard. An entrepreneur who, with a few dollars in his pocket, purchased marsh-front property in New Rochelle off a handshake and a promise, and then built a thriving dealership from the sweat of his brow. Even now, years after building a reputation as a major Sunseeker dealer in addition to his work with Beneteau, you can see he’s a handshake-is-my-word kind of guy. “Bill, we’d like you to walk us through the boat as if we [I was joined by our General Manager Gary DeSanctis] were regular first-time customers,” I said. It became clear immediately that he intended to do just that without my prompting. “The first thing you’ll need is this sheet,” said Michaelis, as he handed me a typed checklist of what to do before leaving the dock. 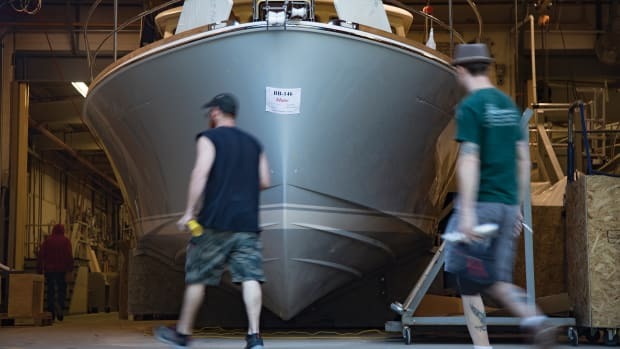 From checking the oil to firing up the optional bow thruster, it was a comprehensive, plain-English list of how to get the boat out on the water. And so it came to be that we spent the better part of the next two hours inspecting the engine room, walking through the control panel, the MFDs, the switches at both helms, even the washer/dryer that’s located under the companionway. “Before we go I’d feel a lot better if you downloaded the latest version of Navionics,” suggested Michaelis. We agreed that that app serves as a solid backup navigation tool. 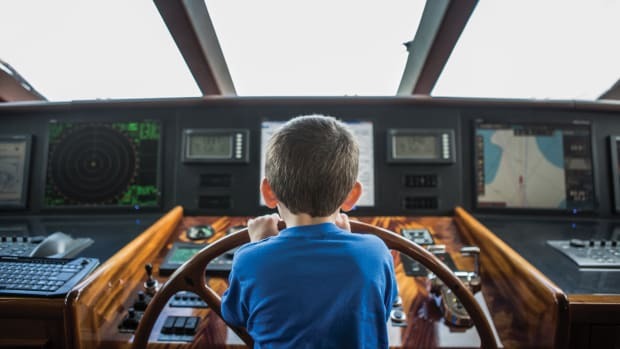 Like an overprotective parent, Michaelis sat right behind DeSanctis and I as we took turns navigating and cruising the boat around Long Island Sound. We finally earned his nod of approval after I pulled the boat up alongside the fuel dock. With that level of attention to service, it was not surprising to learn that repeat customers make up the majority of Castaways’ business. “If you have a problem with anything just call my cell phone,” he said as we punched his number into our phones. But we never had to worry about calling. Michaelis was religious about contacting us after we took delivery, always checking in to make sure things were running smoothly and to see if we had any questions. One morning before a cruise we did have a question about our starboard engine losing prime. He didn’t have an immediate solution, but he knew someone who did. He sent one of his top techs down the coast to meet us at the boat. That was the Castaways difference, the secret sauce that allowed one man to turn a couple dollars and a piece of marsh into one of Beneteau’s most respected dealerships. For me it was a lesson in why finding not just the closest, but the best dealer is so important. If you’re looking to buy a boat this boat show season, you don’t want to do business with someone whose relationship with you ends the second you hand over a check; you’ll want to work with someone like Castaways who, like a member of the family, will watch out for you over the long haul.